Words from our Director and Founder David Noll…..
Clean is the seen in pristine New Zealand. As consumer demand continues to increase for high quality healthy gourmet products, New Zealand continues to answer the call with products found nowhere else in the world. Pacific Resources International after 30 years of importing exclusive New Zealand products for the educated US consumer looking for the very best, still continues to fill that role with top quality New Zealand kosher Honeys, bee products, kosher and organic naturally dried gourmet sea salts and organic black currants. New Zealand’s small population and remote position in the South Pacific allows it to retain one of the cleanest environments in the world. Unlike other areas in the world that continue to struggle to keep bee populations healthy and thriving, New Zealand’s clean country sides with unique flowers and trees have become a Bees Disneyland to thrive and be healthy. 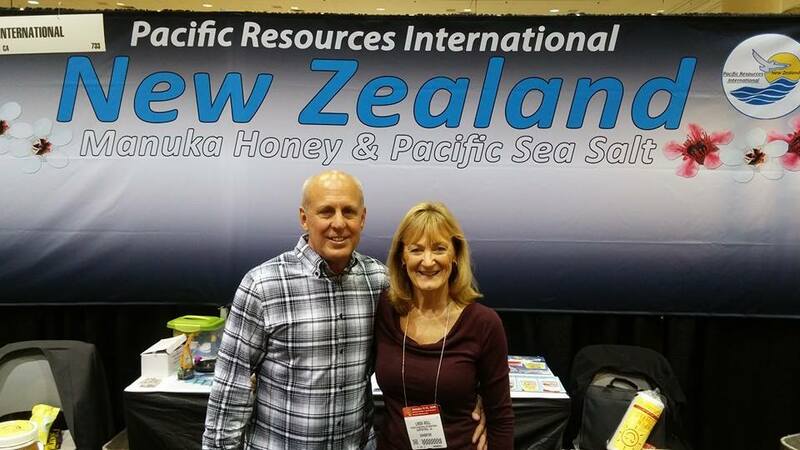 Pacific Resources only works direct with bee keepers that have been in the bee keeping business for at least three generations and have shown the desire to give the bees the very best sustainable resources to stay happy and healthy. These bee keepers work hard alongside their bees to produce the highest quality bee products and honey that only comes from a joint effort. The Bees are only feed their own honey over the winter months while waiting for the sweet spring bloom to start and during the dry summer months when there may not be enough flowers to sustain them. With these bee keepers, it is all about the bees because they are the bread and honey of the business. With more than seventy items to choose from Pacific Resources has developed Special honey products using the popular healing honey Manuka Honey in Chocolates, hard candies, cough and cold and body care products for consumers seeking a healthy life style. The new Manuka Honey Mints are as simple as the bees that make the honey. Just three ingredients. 99% cocoa, Manuka Honey and mint. They are just that simple and just that good. For those that are serious about a healthy life style, Pacific Resources also imports Pacific Sea Salt that is one of the last true sea salts harvested from the clean southern seas surrounding NZ and dried for 13-22 months to retain all the natural trace elements in perfect balance (parts per million). Sodium Chloride on its own has been shown to cause weight gain and high blood pressure. But with the true balance of trace elements Pacific Sea Salt can help reduce high bold pressure and promote healthy sleep. It is so clean it tastes sweet when compared with other so called sea salts. No anti caking or free flowing agents in Pacific Sea Salt. Only ingredient, Clean New Zealand Sea Salt.